A pretty little card to show you today. I've been finishing all of the half made cards I'd got tucked away, so this image has been coloured in for months! 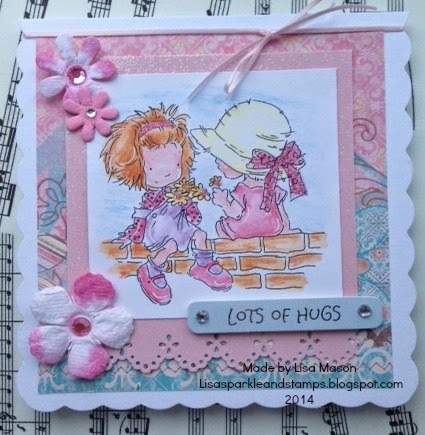 What a super creation Lisa and great use of your Dies and Punches, thanks so much for sharing with us at Stamping Sensations challenge. What a lovely card, Thank you for joining in with our challenge over at The Cupboard Trilogy Challenge Blog. What a beautiful card, Lisa. The soft colours look lovely.